People often wonder about websites and think they require a lot of work and expense. Work, yes, expense, no, lol. 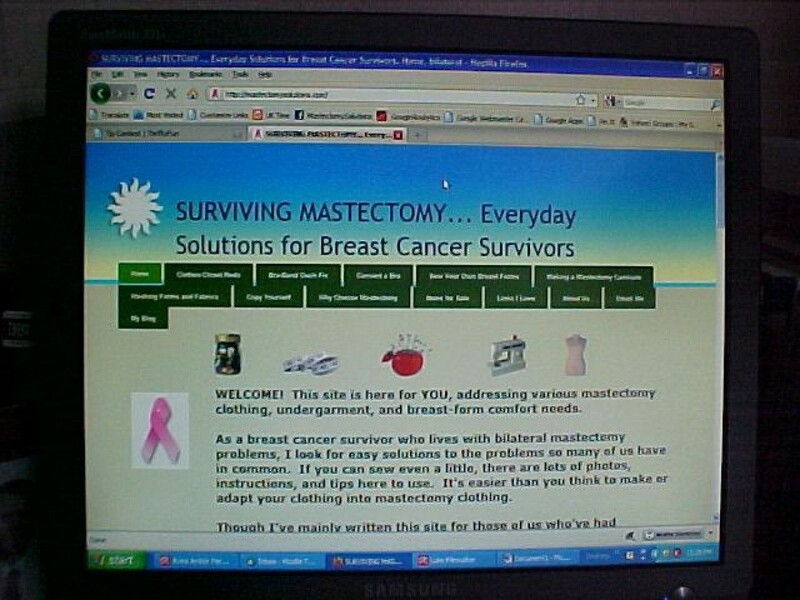 I like to sew and wanted to put up a free website that would give clothing solutions to breast cancer survivors who'd had bilateral mastectomy. It would have free patterns and instructions for items that women could make for themselves economically, and later I added a few things that I make for women who can't sew. It's not exactly a business website, it's more of a personal one, but both kinds are put together almost exactly the same. A good friend recommended www.yola.com and after much research, I found it to have high reviews as they are very dependable, friendly, and compatible with almost any sort of site you'd want to make. 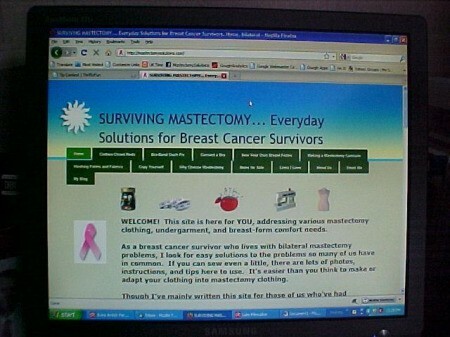 Many business sites are posted through them and Yola has loads of free templates with a variety of different themes. You can pay for an inexpensive monthly plan that includes even more templates and they will even set up your site for you, I think, but I couldn't afford to do it that way and did it all myself on the free version. I'm very appreciative that they supply so many great free tools and give free space for individuals as well as businesses to have websites, and they don't even run any intrusive advertising banners across them, it's great! They only put their own name/ad very discretely at the bottom of the page, nothing more. Yes, you will have a website address at first that includes the Yola name as well as your website's name, but you can buy a website name of your very own for as little as $10 a year from various sources (I bought mine through Google as a reseller) and aim it to your free Yola website, so when people type the name of your purchased website name, it'll take them directly to your website and that's the name that'll show in their address line. It's much easier and safer to buy your website domain name through Yola for $11.95 a year, and let them aim it to your website automatically, but if you're patient you can figure out how to do it yourself through other resellers if you'd rather. When I bought mine, I had no idea what I was doing and bought my domain name someplace else, which worked out fine, I was just lucky. Bu if I had it to do over, I'd go with Yola to buy my domain name probably. For only $11.95 a year to keep the name and a free website, what a deal! I really trust them myself. There's a slight learning curve, but they've upgraded lots of features in the year since I started a website there and it's much more intuitive now. You can drag and drop areas to put your photos and text, etc. If you have a problem, just look on their "Get Help" tab and there's tutorials and a community of people who will explain things. Sometimes I just Google my question and find the answer right away. Almost everything, you can figure out for yourself. My plans for the coming year are to look at their new templates and re-do my site, but at the time I was in a hurry to get the information up that I didn't fine tune it a lot. You can have a simple website up in minutes, then go back and add to it when you have time. They even have blogging features, if you're so inclined. Don't be afraid to get started, what's the worst that can happen? If you get it done and don't like it, just delete it, and start over. Everything in life is a learning experience. Once you've taken the time to make your own website once, you'll find it to be very easy, and a lot of fun!